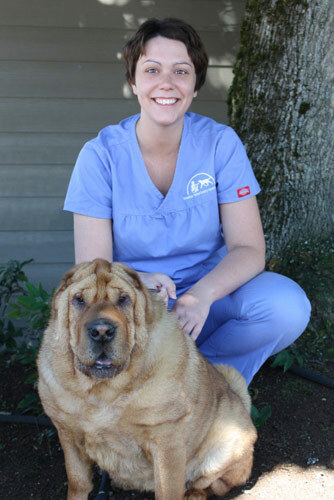 Emilie joined SVA in October of 2009 after earning her BA in Fine Arts from Seattle University and Associates degree in Veterinary Technology from Pierce College in 2009. Her Veterinary interests include pharmacology, pain management and Shar Pei specific conditions and maladies. When not at work, Emilie enjoys cooking, reading, traveling, and spending time with family and friends. Emilie also very much wishes to say: “Go Sounders!” Emilie lives with her Shar Pei named Sasha P. Ruffington who has a cute wrinkled face.